We are pleased to announce that Matthew Hibbert, who has been with the firm for nearly 10 years, is to become a partner in the practice. If you think you have received a H M Revenue and Customs related phishing or bogus email or text message, you can check it against examples that the Revenue have put on their website. Congratulations Kayleigh, Ben and Emma! Well done to Kayleigh who passed the final exam of her AAT Level 3 and to Ben and Emma who both passed their ACCA P3 Business Analysis exam. IT’S A MAD WORLD… BUT WHAT CAN WE DO ABOUT IT? After the announcement of the snap election, the Finance Bill was heavily pared down. Among the casualties were the clauses that would implement Making Tax Digital. The Martlet Partnership LLP is a member of the UK200Group (http://www.uk200group.co.uk/) has published the results of a survey showing that 65% of its members’ SME business clients do not currently use software to manage their accounts. 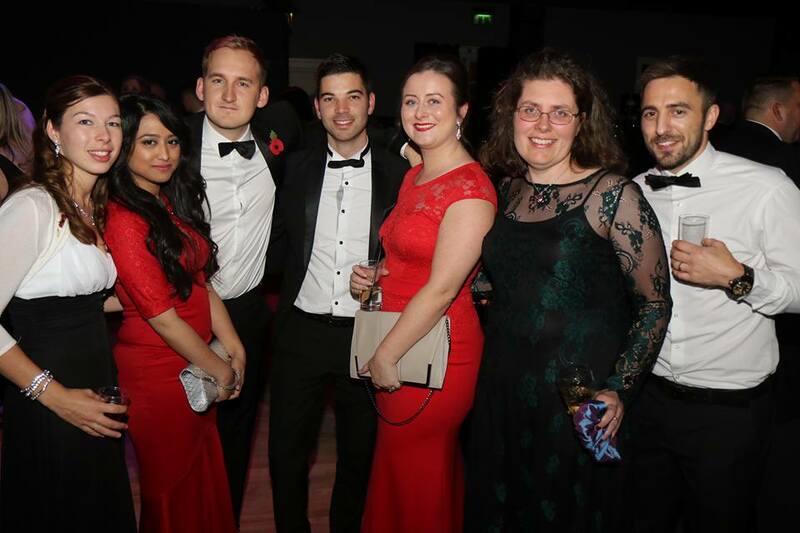 The Martlet Partnership LLP is proud to have sponsored the Adur and Worthing Business Awards. And what a lovely evening. Any employee aged between 22 and the State Pension age, whose income is more than £10,000 a year within the UK, is entitled to a Workplace Pension. Automatic enrolment began in October 2012, starting with larger employers. Over a period of six years, medium and small sized employers are joining the automatic enrolment. When employers enrol on behalf of employees onto a Pension Scheme, the first thing to do is to make sure they send contact information to The Pension Regulator. These details should be for the most senior person within a company or organisation for example, a Chief Executive Officer or Managing Director. Step two is to stage a date. This is when the new automatic enrolment duties come into force for a particular business. It is dependent on whether enrolment of the staff is necessary in terms of eligibility for a pension and also the number of staff working for the company. The next Staging Date deadline is Thursday 1 September 2016 and employers are well advised to be prepared ahead of this day. It is important to make sure that employers do not take action to jeopardise employees from enrolling in the pension scheme. Planned employee groups and company contributions. Once you have auto-enrolled the appropriate employees in your organisation, a submission of a declaration of compliance to The Pensions Regulator must be undertaken. Incidentally, auto-enrolment duties to the Workplace Pension do not apply if you are a Sole Trader, with no other staff. If you would like to know more about how to enrol your staff to a workplace pension scheme, The Martlet Partnership would be more than happy to help. Call us now on 01903 600 555. Recently, we published an article entitled Late Payments: How to Claim Interest, and we thought it might be appropriate to go into some more detail about situations in which claiming late payment is not the best tactic. You may be aware of the supplier’s right to claim interest in the case of non-payment from a customer, and the steps of communication that can make this simple right a powerful tool for incentivising timely payment. However, for larger customers, who don’t tend to have the same issues with cashflow, the motivation for late payment is unlikely to be that they simply don’t have enough money in the bank this month, or that there is a queue of creditors to work through before they can pay your invoice. Key to managing relationships with larger business customers is understanding how they work. Big businesses do not generally have to schedule their payments to suppliers to fit in with payments coming in – they won’t be waiting for their customers to pay them before they can address your invoices. Instead, there is more likely to be a fixed system in place, and your invoice goes through this system before payments come out of the other end. In this situation, it can be more effective to try to understand the system and work out how to make sure your invoices are dealt with promptly, rather than charging interest to a customer who, due to their size, may be key to your business’s success. Are your invoices clear? Are they being sent to the right person within the customer’s company? Crucially, do you have a purchase order reference? The problem that many smaller business owners have is that a) they often don’t look at the terms of business well enough, and b) they aren’t aware of the importance of getting the right documentation to the right people at the right time. If you would like to learn more about improving your cashflow, one of The Martlet Partnership’s business advisers would be more than happy to help. Call now on 01903 600 555. One method by which SMEs can push for payment of invoices is by claiming interest on late payments. The statutory right to interest and compensation applies to all contracts and, as the interest on payments accumulates, it provides a powerful deterrent to late payment. The law gives the supplier the right to charge interest at 8% above the Bank of England’s base rate – however, although the Bank of England has recently changed that rate to 0.25%, SMEs can continue to charge at 8% over the old rate of 0.5% until 31 December 2016. This is because the rates are fixed for six-month periods; the rate on 31 December is valid for the period of 1 January to 30 June, and the rate on 30 June is valid for the period of 1 July to 31 December. In many cases, the rate of interest dictated by Bank of England base rate plus 8% will be more expensive for a late-paying customer (who is effectively borrowing from you) than overdraft money from the bank. This incentivises timely payment. You may think that claiming interest on late payments may seem to be adverse to good customer relationships, but by having a clear system in place, suppliers can actually avoid awkward situations. State agreed payment dates on all invoices and your intention to exercise the right to charge interest on late payments. If the invoice is not paid by the agreed payment date, inform customers of the interest that they are now accruing. Once the payment has been received, issue a bill to the payer informing them of how the interest was calculated and how much was paid. This communication is an effective tool for ensuring timely payment with a minimum of friction between supplier and customer, and no undue surprises for the customer. If you would like to know more about how to deal with late payments, we would be more than happy to help. Call us now on 01903 600 555.